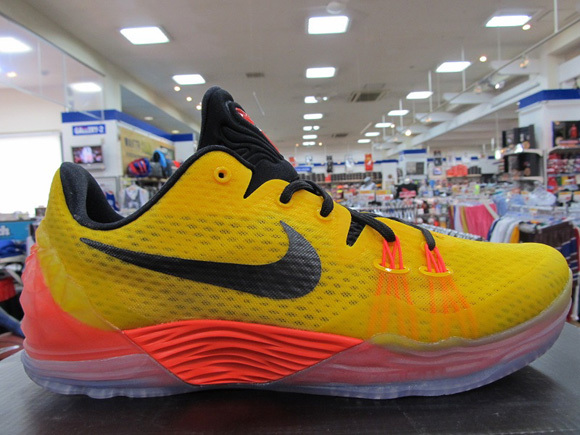 The Nike Zoom Venomenon 5 has released overseas, and I’m hoping they drop here in the US. Nike’s Zoom Venomenon 4 wasn’t a bad model, but these look like they’ve improved quite a bit. There is now heel and forefoot Zoom Air, traction – while hard to see – looks even better than the 4’s, and the upper looks much more breathable. If they release Stateside, I’d be interested in trying them out. Anyone overseas grab a pair? If so; let us know what you think. if you can see it that means the zoom is bottom loaded right? That’s right. “Top loaded” is usually just underneath the sock liner, or recessed slightly into the midsole, whilst bottom loaded is underneath the midsole. What is the difference of bottom loaded vs top loaded zoom? Besides where the zoom is loaded of course. The zoom bag is more likely to pop or wear out more since its handling more impact, whereas top loaded is supported with the foam surrounding it handling less pressure. The zoom is not likely to pop due to being bottom loaded. Those are not bottom loaded models. Those are unlocked models. Bottom loaded would be the AJ2010 and Alpha 1’s. 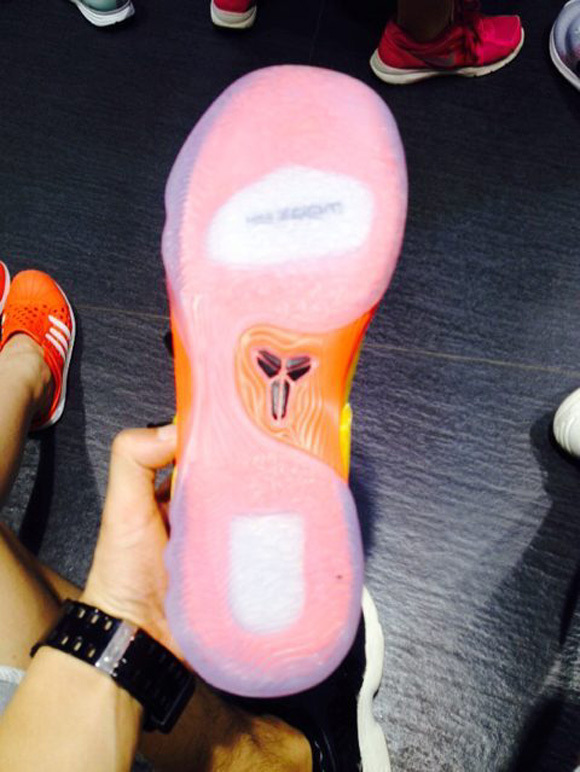 Not a fan of this line, but if you can see the zoom bag thru the outsole. I just might go and grab a pair. From a cushioning standpoint, people who want heel/forefoot Zoom, this is the shoe. 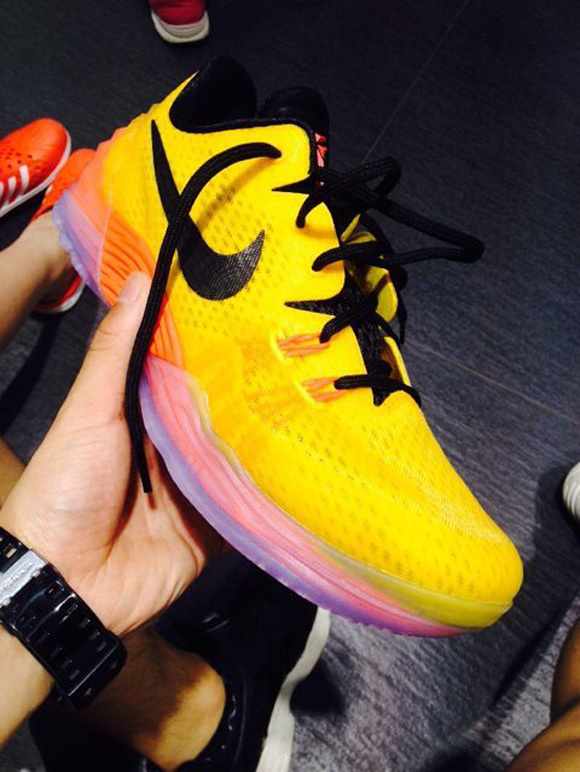 This shoe being available in the U.S, and performance is pending though. Looks like they are going for ~122$ in japan. any word on more specifically whereabouts overseas? When will Nike stop using flywire? The strings make every shoe look to kch alike and more importantly, they don’t do much for support. They do something for support for really minimal setups, like the some of the runners with mesh or em or even the original hyperrev to a lesser extent I can feel it. Man i hope they release some that have solid or xdr rubber. Is there a possibility of lunarlon?? Hard to see a Nike model with lunar and zoom for $120 retail.